Under the leadership of Mayor of Barcelona, Ada Colau, and through its Committee on Social Inclusion, Participatory Democracy and Human Rights, UCLG is putting the right to housing at the core of its agenda on the Right to the City. 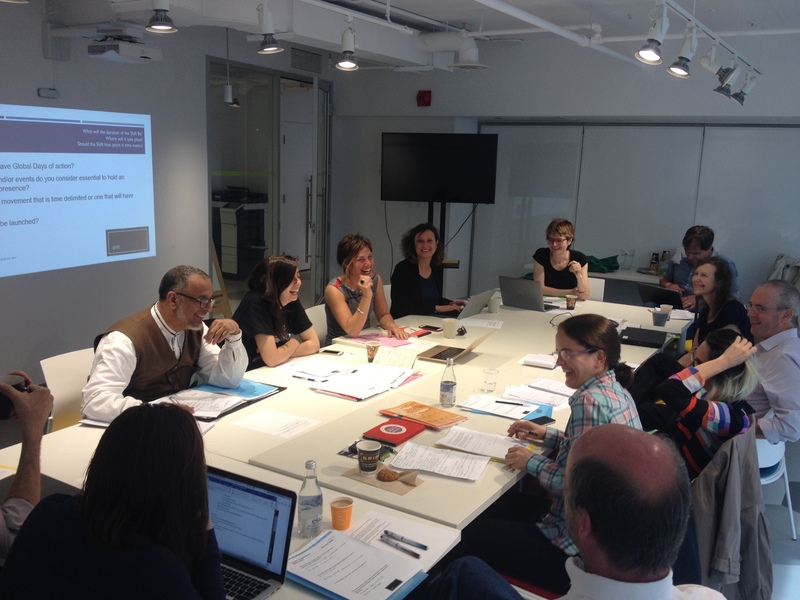 From 8-9 June 2017, the UCLG Committee on Social Inclusion, Participatory Democracy and Human Rights took part, on behalf of UCLG, in a strategic meeting in Ottawa organized by the UN Special Rapporteur on Adequate Housing, Leilani Farha. 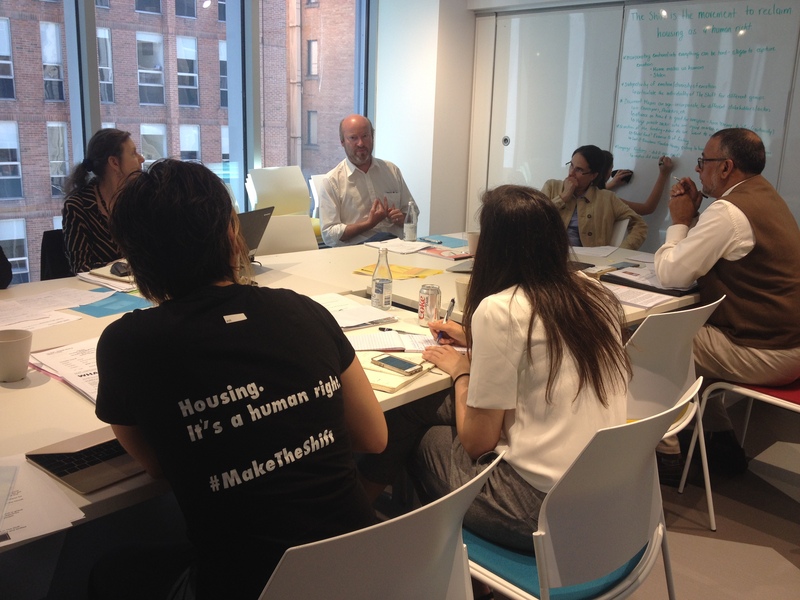 The goal of the gathering was to discuss the next steps of “The Shift”, a global campaign for the right to housing launched with the support of UCLG at the Habitat III Summit in Quito in October 2016. The Shift brings together UN human rights bodies, local governments, UN Member States and civil society organizations to seek to change in the way we think about and interact with housing. It calls for us to see housing as a human right and a social good, rather than as a commodity. It defends housing as a vehicle for equality and community, rather than inequality and segregation. It condemns forced evictions and displacement without alternative housing. It rejects the criminalization of homelessness and it supports the social function of land. UCLG is convinced that the right to housing for all is essential to sustainable development. The international community and local and regional governments have recently reaffirmed our commitment to the right to housing in through the adoption of SDG 11 on sustainable cities and human settlments and the New Urban Agenda. The New Urban Agenda specifically urges its signatories to “apply the principle of subsidiarity” in housing policy and to “combat and prevent speculation”. However, too often housing is a cause of inequality and exclusion and, in many countries, local and regional governments lack the legal and financial instruments to play their part in guaranteeing secure, affordable and dignified housing for their citizens. According to UN Habitat, around the world more than 1 billion people live in slum conditions and around 100 million people are homeless worldwide. It is increasingly acknowledged that the decrease in public investment in housing and the financialization of housing on stock markets over recent decades have resulted in inequality and segregated cities. According to the last report of the UN Special Rapporteur on Adequate Housing, “the value of global real estate is about US$ 217 trillion, nearly 60 per cent of the value of all global assets, with residential real estate comprising 75 per cent of the total”. In the absence of public investment and in a context of growing urban populations, housing prices have increased so much that most low and middle income people are unable to access housing in city centers and have been displaced to peripheral suburbs, in violation of their right to the city. The meeting in Ottawa established the basis of a joint strategy to unite and amplify global activities in support of the right to housing and, secondly, to ensure that every country develops and implements national housing and homelessness strategies based on human rights in line with the SDGs and the New Urban Agenda. “The Shift”, which seeks to unite, support and foster local, regional and global activities and initiatives working for the right to adequate housing around the world, will be a central pillar of UCLG’s Wave of Action on Housing from 2017-2018. As part of the Wave of Action, UCLG will hold a meeting in Barcelona in the last trimester of 2017 for UCLG members with a special interest in housing to define their involvement in The Shift. Furthermore, we will host a learning session for local governments on housing in the coming months and the Fifth Global Report on Local Democracy and Decentralization (GOLD V), to be published in 2019, will include a chapter on access to housing for all. The next key dates in “The Shift” campaign will be International Human Rights Day on 10 December, the presentation of Leilani Farha’s report to the Human Rights Council in March 2018 and the High Level Policy Forum’s report on the implementation of SDG 11 to the UN General Assembly, in July 2018. You can support The Shift on social media and share what you’re doing to support the right to housing using the hashtag #MakeTheShift!